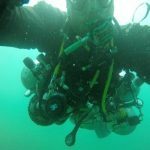 Technical diving means going beyond recreational scuba diving limits. But, tec divers will tell you that it’s really about the challenge and adventure of exploring places that no one else has ever seen. 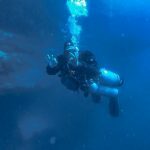 Technical scuba diving involves going beyond recreational scuba diving limits. In technical diving the surface is often inaccessible in an emergency, so tec divers use extensive procedures, equipment and training to manage the added risks and potential hazards. Get started with these SSI Extended Range programs. The Extended Range Nitrox course begins the journey into more “extreme” diving and takes experienced and qualified divers far deeper than in mainstream Recreational diving, up to a maximum of 40 meters / 130 feet. The Extended Range course picks up where Extended Range Nitrox leaves off and takes your training as a tec diver further and deeper. Extended Range qualifies divers to make extended no stop dives, and accelerated decompression dives to a maximum of 45 meters / 145 feet. The Technical Extended Range course completes your training as an entry-level tec diver, taking you past the limits of recreational diving. You will train to independently plan and conduct two-gas switch, multiple-stop decompression dives to depths of up to 45 meters/ 145 feet. The Technical Extended Range course takes you to new lows as a tec diver, beyond the limits of Technical Extended Range, , and introduces trimix as a bottom gas to depths of up to 60 meters/200 feet. The Hypoxic Trimix course is the pinnacle of technical diving. Here you will use all the knowledge, skills, equipment and experience from all of your previous training and push your limits to the extreme. This program provides divers with the training necessary to independently plan and conduct limited decompression dives to depths of up to 100 meters / 330 feet, using specialized diving equipment and procedures with an equally qualified dive buddy. The SSI XR Sidemount Diving program provides divers with the training necessary to independently plan and conduct extended range dives, using sidemount equipment configurations and techniques, within the depth limits allowed by their certification levels, and with an equally- or more-qualified buddy. 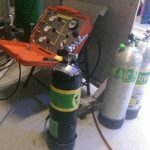 Gas Blender teaches the concepts and skills necessary to safely blend nitrox blends for mixed-gas diving. This is a non-diving program that teaches the theory and techniques required to safely blend breathing gases.